Hotspot misses include absence of Kill switch, doubtful privacy policies, complicated website, restrictive free trial and it’s unusual practice of tracking and sharing personal information with third parties, can badly affect user’s experience and perception about the VPN provider. In terms of service, HotSpot Shield is superb, offering incredible user experience with fast speeds, and topped up with great features to keep VPN enthusiasts happy. However, the company has been involved in some shady dealings and unethical practices under the carpet, making it harder for users to believe, especially after the current CDT allegations. With more than 500 million users worldwide, Hotspot Shield is one of the largest VPN providers. The service provider has been in business since 2005 and has grown their phenomenal operation at a jaw-dropping and startling pace. With servers locating in 32 virtual locations globally, Hotspot Shield Elite-Paid version- offers accessibility to a selection of well-encrypted IP addresses. This exceptionally easy to use VPN boasts a slew of features like; unlimited bandwidth, 5 simultaneous connections, and reducing the risk of interception with 128-bit AES and 256-bit AES encryption. To increase your internet speed, Hotspot Shield has the data compression feature; when in use, the size of data reduced significantly to transmit the data quickly. The good-scoring VPN provider uses the protocol Catapult Hydra, based on TLS and OpenSSL, offers services in two tiers; 7-day free trial and Elite. Hotspot Shield VPN has designated apps and a browser extension in both free and paid packages. Where Is Hotspot Shield VPN Based? Hotspot Shield is a VPN headquartered in Menlo Park, California, in the US, developed by AnchorFree Company, operating right out the Silicon Valley. AnchorFree, an internet security company introduced their VPN back in 2008 as a full-fledged free service, but later on restrained and revamped with paid services, restricted the freemium services. Does Hotspot Shield VPN Work in China? Currently Hotspot Shield’s is blocked in China. Expats from China might be able to access its website using proxy service. However, once you have signed up and installed Hotspot Shield Elite VPN software, then you can use its services right from China without using any other proxy. 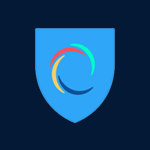 Hotspot Shield Elite VPN has its proprietary VPN protocol and connection algorithms, coupled with a high level of obfuscation, that makes VPN blocking harder. It’s a good VPN for China, where VPN connection gets blocked or interrupted. Does Hotspot Shield VPN Support Netflix Streaming? Follow prompts and complete your purchase with few more clicks. Keep in mind that to avail free services, you don’t have to provide any personal information. Only paid subscribers are supposed to provide personal record with payment info. Let’s start browsing, to find the real deal. To review Hotspot Shield VPN, we tested the service with a VPN from outside the US, but unfortunately we were redirected with the dreaded ‘Netflix proxy error’ again and again, unable to connect to US Netflix outside of the US. In other words, Netflix “caught” our VPN usage to unblock their geo-restricted website and warned us to stay away. Conclusively, Netflix is no more a go-to Netflix unblocker as the Netflix started detecting Hotspot Shield IP addresses, and, no matter how rich you’re. You should be aware that the Netflix VPN tug-of-war is in a constant state of flux. Hotspot Shield’s server network is one of the smallest in the market with 32 virtual locations around the world. Although the company does not offer much details about the exact number of servers locating in exact localities. Upon asking about the number of servers from the customer support, they have told us the location numbers. The free version doesn’t allows you to access the UK servers, so if you want to stream BBC iPlayer from other then the UK, so get your bucks ready. IPv6, the next generation encryption protocol. Although it’s not commonly in use, but does represent a major concern as it ease through the leakage of the user data. Web Real-Time Communication (WebRTC), powers most of the web-based voice, video and file sharing apps, and yet another potential leak source. Thankfully, Hotspot Shield has built-in protection against both of these. The Chrome extension for Hotspot Shield has built-in an ad blocker, the VPN apps doesn’t have the feature. This is because ad blocking has to happen at the browser level. This feature suspends the exposure of unwanted ads while browsing on chrome browser. This is handy if ads are just a source of annoyance to you. While working on Hotspot Shield review, we tested the advert blocker while connected to the US server. The result was phenomenal; we were served absolutely no ads, although the extension is free. Hotspot Shield VPN has on its parent company’s database of more than 3.5 million suspicious and known malware domain to protect you against a variety of online malware including phishing pages, Trojan site, infected sites, and content farms. Topped up with a strong antivirus protection; you can easily get all the protection against Internet-borne threats, simply by subscribing to the platform. The Chrome extension of Hotspot Shield comes with a tracker and a cookie blocker; though these features are new to VPN industry. Switched them on turned out to be some serious side effects. We were logged out automatically from the online account that due to these ‘blocker features.’ It was impossible to log back until we switched them off. At least something is happening. The deal breaking is that these features only with Chrome extension, not with other clients. Clicking the “Sites settings” option (only in the Chrome extension) allows you to customize proxy settings ; websites you don’t want to be affected and specify websites that you want proxy extension to cover always– or simply set it to “Off.” This is a useful feature, allowing to avoid accessing a specific website without the extension, and also helps ypu to whitelist websites that you never want proxy to go with. When connected, you will exposed to a Stop button, session duration along with upload and download speed. You will also get to know how many sites, trackers, and ads it has blocked. So, to use ad blocking, tracker blocking, malware blocking, and cookie blocking functions with Hotspot Shield VPN, install the Chrome extension along with the custom VPN client software. The encryption protocol is the most important aspect to look for when evaluating a VPN. Some protocols, like IKEv2, is the latest among the security conscious users, while others are designed to work faster on older hardware. The parent company of Hotspot Shield, AnchorFree Inc. has developed its own in-house protocol, named Catapult Hydra. What exactly the company’s ‘secret sauce’ is? Evidently, the security is strong: during the Arab Spring protests in Libya, Egypt, and Tunisia the VPN was successfully bypass government censorship. Check and compare different VPN protocols to see which one is faster and reliable. The official pages never share everything about a service, so we headed off to the Privacy and T&C’s pages to uncover the real deal. Hotspot Shield doesn’t have shortest of either of these that we’ve ever witness, but still the managed to perform a reasonable job about how the system runs. The best thing about Hotspot is that there’s no such blanket claims like ‘no or zero logging.’ Instead detailed that personal information including email addresses and payment information are stored, and nothing related to your online behavior, and any information related to your browsing and/or connection might be recorded but deleted as soon as your VPN session ends; quite reassuring. We tend to disagree to the fact “does not identify you.” We believe that your wireless network, location, and even your mobile network id identify you. Keeping this reason into context, we can safely say that Hotspot Shield is still exercise invasive data practices. However, No IPs is a good move ( better on the desktop version), Whereas, the mobile app does expose AnchorFree and its third party affiliates, high-risk data. As per the hacker news, it was revealed that three VPN providers including Hotspot Shield found vulnerable to flaws that possibly compromise your privacy. The team found that AnchorFree’s Hotspot Shield has certain vulnerabilities including; traffic hijacking, DNS leak and also leak real IP address. The stated leaks are subject to Chrome extension only. A CSIRO study reported that HotSpot Shield gather user information, using tracking codes and then sells to advertisers. It is also discovered that HotSpot Shield regularly redirect traffic through one of their affiliate networks just to make get their share of profit from purchases that users made while using the VPN. HotSpot Shield is fast, we tested again and again to make sure that our system wasn’t experiencing a fluke. According to the company; the service is fast due to its proprietary Hydra Protocol, based on TLS and OpenSSL. This protocol doubles download speeds and increases ping times. The only problem we faced with connectivity during our testing, coupled with lengthy server response which required multiple clicks or refreshes to load desired pages. The slow browsing experience might turn you off. As usual, speed tests are with a grain of salt—as with every VPN, speed experience may vary. Hotspot Shield VPN can be used on a variety of platforms; now you can use on multiple devices. It currently supports Windows, Android, iOS devices (iPhones and iPads), Mac, as well as browser extensions for Firefox and Chrome, so no matter which OS you’re running, your browser will still support Hotspot Shield. However, the multi-platform support is quite flawed with inconsistent servers. Like; on Windows, you can only access 20 servers, while rest of the platforms offers only four to five servers respectively. Additionally, Windows app isn’t functional on the most recent updates, while Android app functionality varies with the device you’re using. Hotspot Shield doesn’t even offer any support for routers, means if you have a device other then the official client then you’re unable to connect to its services. Therefore, Linux, Windows Phone, and less conventional platforms are still unsupported and unprotected. The phenomena of five simultaneous connection is also limited to the Hotspot Shield Elite subscription; free plan is limited to one device only. It’s really easy to install Hotspot Shield VPN with no manual configuration is required. All you need is; installation. However, you can also configure it as per your network. Thanks for the intuitive interface, adjusting preferences is easy. An access code is there to keep your credentials anonymous while using the proxy browser. Don’t want the hassle of access code, use your email and password to login. You may find Hotspot Shield crack codes in the market, but we don’t recommend the use of such codes. It is better to go with Hotspot Shield free VPN and evaluate the service. It’s easy to point that you’re connected: as your connection established, a check mark appears with a timer shows the duration of your connection. In case of unprotected connection, you will be prompted with a red bar across your screen. While connected, the red bar turns yellow, you still have the option to stop the connection anytime. You will also be exposed to the connected server along with the amount of data being uploaded and downloaded during the VPN session. To enter into an Elite plan, you will be redirected to the pricing page, choose your subscription plan and respective payment method to get the VPN protection. The Windows client has recently revamped, with more aesthetic appeal and easy to use. The initial interface is uncluttered and neatly animated when you turn it on. AnchorFree got this side of the product right; you will definitely enjoy using the multilingual interface. Within the app, you will have a large button to click and connect. Clicking the button will take you to the server locations menu. This is quite unorthodox, but gets the job done. Find further settings in the hamburger menu at the top left; pick and choose, toggle on and off all the VPN features here. You will find all the features including automatic WiFi protection , a kill switch , and IP leak protection. The free desktop allow you to connect to the US server alone, while restricting you to access UK servers at all. You can also check our post on Windows VPN to see that standards we set for a VPN to be eligible for a recommended option. Reviewing Hotspot Shield, we are glad that apps designed with a pleasant color scheme; dominating multiple shades of blue. Thanks to the highly intuitive and single click interface, yes within a single click you can perform certain actions, including connecting, disconnecting, switching servers, and configuring desired settings. If you’re novice to VPN, you can rely Hotspot Shield’s optimal server location for them and the default settings; these are close to ideal and no tweaking is required. Find a well-organized menu with all the settings in one place and start modifying and exploring the options at your disposal. Android client of the VPN is user-friendly with comprehensive interface to disguise your online presence and allows you to access blocked apps, while keeping your mobile actions private, secure, and anonymous! When it comes to performance on speed, stability and security, Android client is on the top. Hotspot Shield offers a practical and user-friendly interface, making it ideal for beginners paired with a complicated user interface, for advanced users. Touching the big “Connect” button will connect you and you will be exposed to with a banner showing the overall surfing time , your server location, and connection speed. For additional options, click the hamburger in the top right corner. This is a single app that allows you to encrypt your traffic, hide your valuable identity and other information, and offers extraordinary VPN services freely forever, the Elite subscription has extensive features to use. You will see ads with AnchorFree only if you go with the free service on the Android client. Check our detailed blog on best Android VPN apps to use in 2018. It’s very easy to install Hotspot Shield VPN app on Apple devices, with slight trouble to find the option to type-in the existing credentials, as you will find two option on the client main interface; free edition and buy a subscription. A carousel-style ribbon at the bottom 20 countries to select a server from; four visible at a time. Server selection is in front and centre in the map, that occupies the main window. Sadly the map is rather static, not interactive. Our editors have compiled a list of free iPhone VPN apps that you can use to browse anonymously on your smartphones. Hotspot Shield Elite offers a browser extension for your Google Chrome. Access it via the “Products” menu or install from the Google play store. Once installed the extension, turn it on/off by simply clicking the blue shield icon in the top right corner. A red dot on the icon shows the VPN is off and a green dot shows the proxy is connected. We tested,using ipleak.net and found it to be effective. We got an IP address in the Netherlands along with a number of Google DNS addresses both in the US and in the Netherlands. You can connect up to 14 server locations in the the Chrome extension. Three servers -the US, UK, and France- are only available with Elite subscription. Freemium servers are Canada, Russia, India, Sweden, India, Chile, the Czech Republic, Turkey, Spain, the Netherlands, and Singapore. If you’re in the US, you don’t need to pay a dime to pretend to be in 15 countries! The Hotspot Shield website featured a significant update last year, but navigation remain the same; the improvements are largely aesthetic, to make the website more enjoyable. Navigation is simple with just four options; Pricing, Products, How it works and Get Hotspot Shield. Pricing takes you to the paid version, while hovering over the Products lead you downloadable links for all platforms. Find everything about privacy, servers and VPN features in the drop-down menu of How it works and click Get Hotspot Shield button to get the VPN protection instantly. Toggling down the pages, you will find the navigation links related privacy FAQ and policies. Do you know the latest edition on their webpage; now you can view their services in your native language. An area in which Hotspot Shield is likely to WOW you is its customer support which has condensed the ire of many reviewers who use customer review websites to lambaste the company’s responsiveness and success-rate in assisting users to resolve their queries. Regardless of the services you’re using , you’ll be served quickly and far better via their help desk. It would be wise to solve the concerning issue with their supported website loaded with well-written knowledge base articles regarding the supported platforms. The support website is laid out neatly, but several articles couldn’t be reached using the in-site search. This might leave you frustrated, and you start searching the Internet to reach the official support website. To deal in the real time, Hotspot recently introduced 24/7 live chat option, and it’s pretty quick. For your technical query we recommend you to go with their ticketing system. Simply click on the “Contact Support” and open a support ticket. Your credentials would follow through the ticketing system. As you start typing your query in the subject field, the relevant articles would come under suggestion; it’s quite helpful and might save your time in certain circumstances, or else complete your ticket. Hotspot Shield allows P2P on all of its servers; good news if you’re torrent freak, now you can download torrents easily. But, the company also warn you not to download copyrighted content and don’t break the law; this is what torrenting is all about. So, we can’t recommend this VPN service if you’re an avid torrenteer and want to remain secure and anonymous while downloading the latest TV series, movies, and other “illegal” material. You can check our torrent VPN recommendations and and go with the best option. Elite is relatively on the cheaper end in the VPN market, and a lifetime subscription is something that only handful of other providers are currently offering. We are against opting the lifetime subscription without giving the VPN a whin for sometime. None of the plans fit to your wallet, consider using their Free VPN plan. Click the “Get Hotspot Shield” button to lead the download page, download starts automatically. Interestingly, to enter in the the free version of the app, you need to enter your payment details to access the free trial, now the real deal begins. Want to go down this road? Let me introduce you the real scenes behind the free door. Free users can only access a US server with limited bandwidth of 250MB/day on Android and 750MB/day on desktop, and will also enjoy banner ads and also suffer a paywall that would definitely block all video streaming. You will be refused to use adblockers while you’re in the free zone. Once you pass 500MB, your all video streaming websites would halted for 24 hours but if you go with a “share with friends” wall, service suspension would be lifted by just sharing Hotspot Shield with 10 friends. After crossing the 750MB limit, you will be disconnected after five minutes but will reset the bandwidth cap after 24 hours. Don’t forget to cancel before the week is up incase you don’t like the VPN services, or you’ll be charged for a month. Keep in mind that using the seven-day free trial waives off an entitlement to the money-back guarantee of 30 days. Using the free, ad-supported version increases the chances of leaking personally identities to affiliate advertisers. This is not the case with HotSpot Shield Elite, but it’s a good reminder to use an ad-supported service for anonymous surfing. To use Hotspot Shield VPN, you must be 21 and you cannot use it for commercial purposes. Furthermore, Hotspot Shield’s terms allow the service provider to block paid and free users for any or no reason. Blocked paid users will be entitled to a refund but, your requested refund can be denied by the provider for any or no reason. We highly recommend you to save your dimes and go with a free trial rather than going with Elite plans. Hotspot Shield Elite packages have 45 days to file a refund, but Hotspot Shield has the right to deny your requests for any or no reason. Hotspot Shield offers limited payment methods, including only PayPal, credit and debit cards. Looking for anonymous payment options like Bitcoin, it’s better to look elsewhere. How To Cancel Hotspot Shield Account? Canceling is easy but takes more than a minute, a day or else. Subscription does not cancel on their website of sending an email, but rather depends on the mode of payment you choose earlier. If you have paid via PayPal, then go to Paypal account and cancel your subscription from there. Whereas, with 2Checkout, you need to send an email to sales@2checkout.com along with your transaction number from the email you used to sign up. Removing an app won’t end your subscription, for Android, you need to go to Google play store, search for Hotspot Shield app and cancel the subscription from the subscription section. On the other hand, Apple users can unsubscribe within their mobile setting; settings → iTunes and App Store → Tap Subscription. Your account remains active within the final payment duration. We are surprised with its excellent Speed test scores, but suffers from connection issues and a pretty confusing website. Hotspot Shield’s privacy and security is confusing yet questionable and believe me, it’s hard to find, coupled with worrisome policies and terms; VPN seeking users will be concerned to sign up. At worse, the company logs IP address and related information without guaranteeing anonymity while browsing, ignoring its basic purpose. The free version works pretty well, and have been used by millions of people in times of desperate need. For this alone, this VPN deserves a big appreciation. What do you say about Hotspot Shield, have you tried or will you be trying it? Do share your experience with us in the comment section and thank you for reading the review.